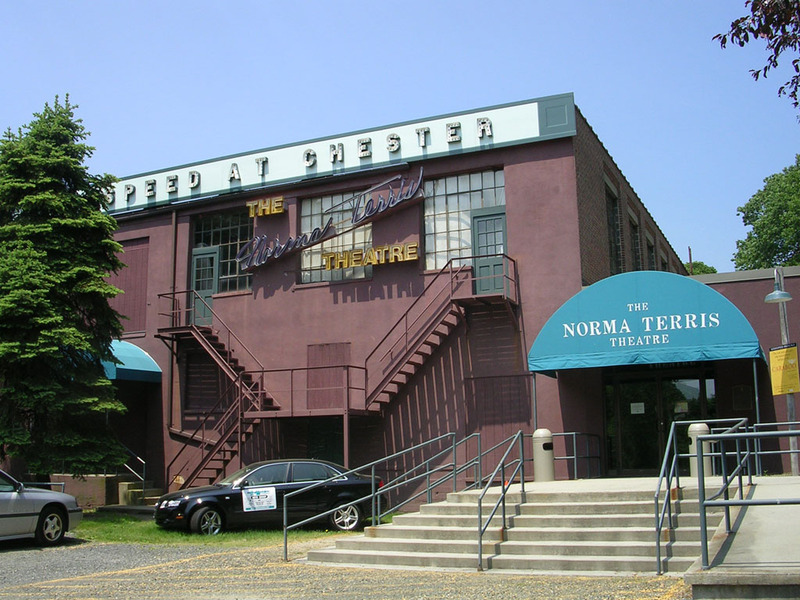 The Norma Terris Theatre was inaugurated in 1984 by the Goodspeed Opera House for the development of new musicals. The theatre is named in honor of the actress Norma Terris, star of Jerome Kern&apos;s Show Boat and a devoted patron and trustee of the Goodspeed Opera House during her later years. Miss Terris began her stage career as a young vaudeville performer, which led to her first major role in George M. Cohan&apos;s Little Nellie Kelly. She gained immortal acclaim as the creator of the roles of Magnolia and Kim in the original Florenz Ziegfeld 1927 production of Show Boat. After making two films for Fox, Married in Hollywood and Cameo Kirby, she starred for ten seasons at the Municipal Opera Company in St. Louis. Miss Terris first performed for Goodspeed audiences in the 1970 production of Little Mary Sunshine. 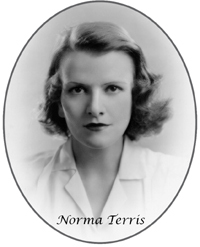 She presided over the dedication of The Norma Terris Theatre, and in 1987 she established the Norma Terris Fund to expand the talents of individuals and to foster the vitality, excellence and diversity of musical theatre at The Norma Terris Theatre. A beloved friend of the Goodspeed Opera House, Norma Terris is remembered for enriching the art of musical theatre with her beautiful voice, fine acting and generous spirit. The Norma Terris Theatre formerly was a factory built in the early 1900s for Susan Bates, Inc., which became one of the largest manufacturers of knitting needles and needlework accessories. In 1982, after locating to a larger facility, Susan Bates, Inc., donated its abandoned factory in Chester to the Goodspeed Opera House Foundation. The space was fully renovated as an intimate 200-seat theatre, and opened its doors on July 10, 1984, with the new musical Harrigan ’n’ Hart. Inaugurated in 1984 by the Goodspeed Opera House for the development of new musicals, the theatre is named in honor of the actress Norma Terris, star of Jerome Kern&apos;s Show Boat and a devoted patron and trustee of the Goodspeed Opera House during her later years. The Norma Terris Theatre is best described as a flexible proscenium with little theatrical architecture to interfere with the ambitious designer. There is a respectable amount of wing space. The grid at The Norma Terris Theatre consists of steel I-beams running upstage to downstage on roughly 54" centers, butting to steel channels running left to right on roughly 10 foot centers. There are 2 x 12 wooden planks laid flat across the channels to take up the space in between the I-beams. Roll tubes and traveler tracks are used in the same manner as in the Opera House, and again, each production is custom rigged.